Sweetened drinks: it’s been shown that people whom consume two or more servings of soda per week have an astonishing 87% higher chance of developing pancreatic cancer! Fried foods: this includes potato related foods such as french fries, tater tots, potato chips and hash browns. This is due to acrylamide which is created during the frying process at high temperatures. Acrylamide causes tumors and has detrimental effects on the brain as well as the reproductive system. Process meats and bacon: these products contain sodium nitrite (aka nitrate), an ingredient added by manufactures to give the meats the pink or what is considered “fresh” look to them. When digested, sodium nitrites convert in the body to something called nitrosamine, a known carcinogen. When meats are cooked at high temperatures, a cancer causing toxin equivalent to burning tobacco develops. 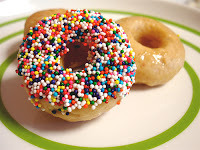 Doughnuts: these cute little rings of deliciousness are high in sugar and refined carbs, not to mention deep-fried! They contain hydrogenated oils which create trans fat, known to be associated with heart disease and cancer. Snacks such as chips and cookies: these treats are full of refined sugars, trans fats and white flour. Look out! Leafy vegetables, broccoli: Let’s start with the more obvious choice, leafy vegetables such as cabbage, kale, and most importantly, broccoli. These cute little green trees help to fight off stomach, liver, skin, lung, bladder, prostate, and breast cancers. Broccoli contains sulforaphane, an antioxidant that rids the body of cancer-causing toxins. Simply put eat broccoli as much as possible. Toss it in your salad, rice, and stir fry. 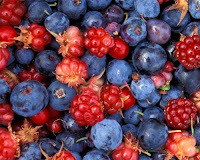 Berries: All types of berries are beneficial to your health. Black raspberries fight off skin, oral, colon, and esophageal cancers. 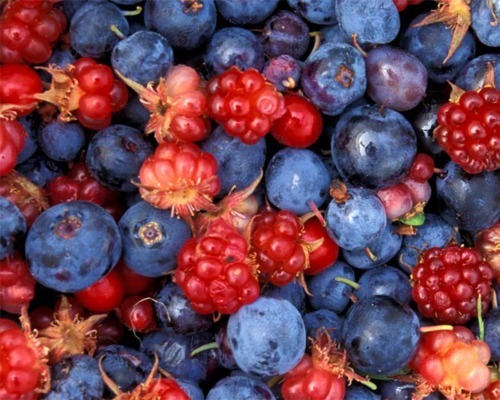 They contain anthocyanins, antioxidants that slow the growth of premalignant cells. Garlic: isn’t just for keeping vampires away, it helps keep cancer away too. When consuming certain red meats, nitrates are injested, forming carcinogens in the stomach. Garlic helps slow down this process and fight stomach, esophageal, breast, and colon cancers. Crush up some garlic and add to your tomato sauce for a cancer fighting double whammy! Tomatoes: contain lycopene, which has been shown to stop cancer cell growth according to research. The sure fire way to increase lycopene is by cooking tomatoes. So whip up some of your own sauce or tomato stew and ward off lung, cancer, prostate, and endometrial cancers. Walnuts: are great for fighting both breast and prostate cancers. Adding just an ounce of walnuts a day will help to keep the cancer away. Beans: Navy and black beans help delay cancer growth of breast and colon cancers. Add a half a cup to your diet a week for a natural colon cleanse! As always, stay away from animal fats, processed meat, and excessive amounts of alcohol.